Its Saturday morning, a perfect Brisbane winters day. With 20 staff in attendance, this well anticipated event was sure to go down in TechPath history. 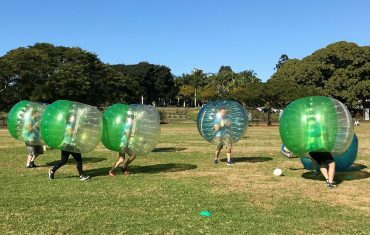 Based on a German sports comedy show, Bubble Soccer involves large inflatable balls that allow two teams to bump and bounce their way around a field, providing the ultimate entertainment for players and spectators alike.